“If only all hotels could be like this.” Conde Nast Traveler USA. 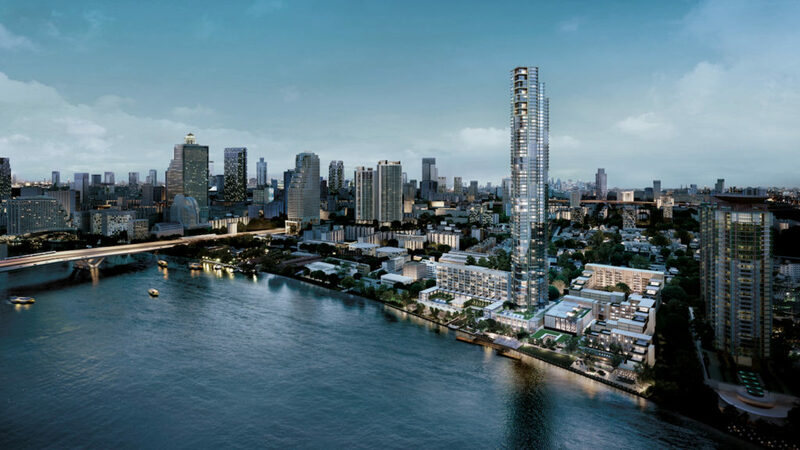 For almost 130 years royalty, dignitaries and distinguished travellers have all followed the legendary Chao Phraya River through the heart of Bangkok to the doors of one of the world’s most luxurious hotels – The Oriental, Bangkok. The rooms and suites are sumptuous. The restaurants and bars are in a class of their own. The spa is one of the most beautiful in the world. All are rich in history, filled with the stories of the celebrated guests who have made this hotel an essential stop on their world travels for over a century. Welcome to Four Seasons Hotel Bangkok. Traditional Thai architecture, hand-painted silk ceilings, intricate artwork, an impressively scaled lobby and glorious gardens – Four Seasons Hotel Bangkok offers exquisite accommodations and gracious hospitality strategically located in the corporate and shopping heart of Bangkok’s bustling core. 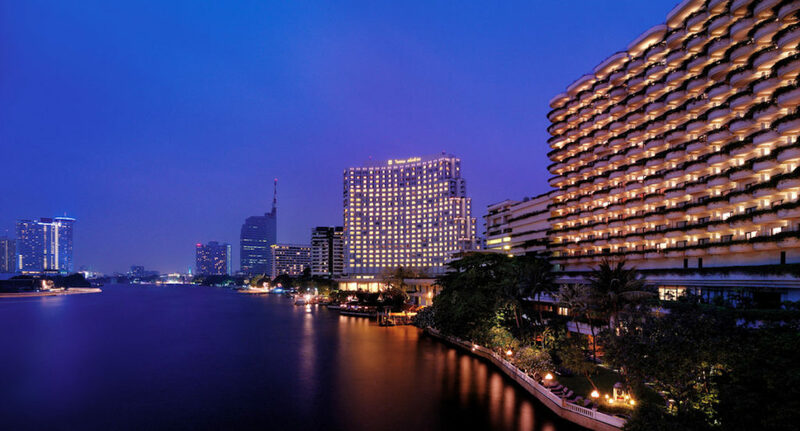 Located on the banks of the Chao Phraya River, Shangri-La Hotel, Bangkok is set in beautiful tropical gardens and enjoys convenient access to the central business and shopping districts. Only 30 minutes from the international airport and adjacent to a Skytrain station, the 5-star deluxe hotel is a preferred choice for business and leisure travelers. Consistently voted one of the best hotels in the world, Shangri-La Hotel, Bangkok boasts unrivaled business services in an elegant and exotic setting. located on South Sathorn Road, enjoys a close proximity to Bangkok’s famed urban nightlife as the style hub of the east. The 171 rooms – defined by subtle and elegant contemporary design – offer indulgent, cosseting comfort with bespoke, intuitive service. Similar to its London sister, the Metropolitan on Park Lane, the Met Bangkok has the Met Bar, a stylish lounge-like members bar, complimented with a comprehensive selection of Martini cocktails. Restaurant Cy’an specialises in Mediterranean cuisine, whilst Glow focuses on an organic, healthful menu. Relaxation is also available with a signature COMO Shambhala Urban Escape, comprising holistic Asian-inspired treatments, a gym and 20m outdoor pool. The Dusit Thani is a five-star hotel in Bangkok, world-famous for the excellence of its facilities and services. The hotel is located in the heart of Bangkok’s entertainment, business and shopping districts, close to Lumpini Park and other Bangkok attractions such as the Grand Palace, Wat Pho and the night markets of Patpong. The Dusit Thani is also only 25 kilometres from Bangkok International Airport. Setting the standard in luxury for Bangkok hotels, the Dusit Thani features 517 luxuriously appointed guest rooms with elegant Thai design. Rooms include Superior Rooms, Dusit Club Rooms, Dusit Club Corner Rooms, Dusit Grand Rooms and the Thai Heritage Suite. Facilities at the Dusit Thani, Bangkok include the Devarana Spa, offering premium spa treatments, a golf driving range with a resident professional, and a swimmimg pool set in landscaped, tropical gardens. The hotel also offers a fully equipped Fitness Centre and shopping arcade. The Dusit Thani features eight restaurants with international menus and featuring cuisine such as Thai at Benjarong, French at D’Sens, American at Hamilton’s Steak House, Cantonese at The Mayflower, Japanese at Shogun and Italian at Il Cielo. The hotel also features several sophisticated spots to enjoy a cocktail, including MyBar, the Champagne Bar, the Lobby Lounge, and the rooftop D’Sens Bar – with its stunning views over Bangkok. The hotel’s meeting facilities include the magnificent Napali Ballroom, which can accommodate up to 1200 delegates, the Dusit Thani Meeting Centre, six meeting rooms fully equipped with state-of-the-art audio-visual equipment, and a Business Centre with full secretarial services. We are family. In this atmosphere of first-class hospitality many guests and staff are like old friends on a first-name basis. 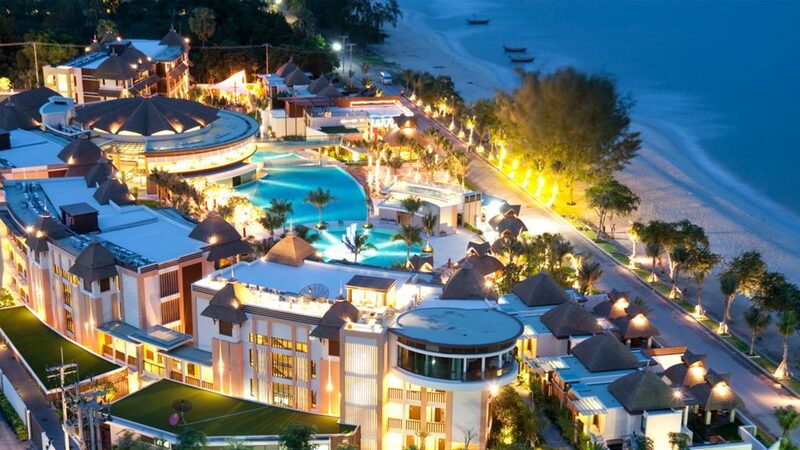 Each of the beach resort’s eighty-seven rooms presents a panoramic sea view. Along the magnificent Hua Hin-Cha Am corridor many other resort hotels exist, somewhat bunched together. Springfield Beach Resort stands alone with plenty of space for guests to explore their dreams. Springfield Beach Resort’s magnetism for guests from all over the world has been the realization of the dream of visionary property developers. We are not a part of any chain of resorts. We are a development that provides tranquil outdoor living in a private environment. Your wishes are realized with state-of-the-art expertise that allows guests the comfort of modern lifestyle amidst natural and tropical surroundings. Peace, Serenity, Solitude. These are the words that come to mind for Pimalai. Add to that luxury, elegance, nature and genuine friendly service. Be it for a honeymoon, a diving experience, a break from it all or even for a business meeting in Krabi, Pimalai nestled in a lush tropical forest, is the Andaman destination to set your sights on. The beach resort combines all the right ingredients – subtle five star comforts, natural beauty, far from the crowds, with no noise except the sound of the waves sliding in and out and slowly breaking onto the sand. Built within the rainforest as it meets the silver strand, you would hardly know Pimalai was there. The resort occupies 100 acres of tropical vegetation with direct access to 900 meters stretch of pristine sandy beach and offers 121 accommodation – rooms, suites, beach villas and pool villas – all very elegantly appointed. It takes about 1 hour by the resort boat to reach Koh Lanta and The Pimalai from the main land… This is about what you have to bear with to find one of these rare lost paradise in tourist Thailand… Visit once and you will return again and again. The Dusit Laguna Resort, Phuket is a five-star hotel located amidst the tropical gardens and azure waters of the island of Phuket in Thailand. The hotel is part of Laguna Phuket, South-East Asia’s first fully integrated resort, where you can enjoy the combined facilities of no less than five top hotels. The idyllic surroundings of swaying coconut palms, vast lagoons and a white sand beach belie the fact the Dusit Laguna Resort, Phuket is only 22 kilometres from Phuket International Airport, and close to both Phuket town and a number of Phuket tourist sites including Wat Phra Tong and the Thalang Museum.